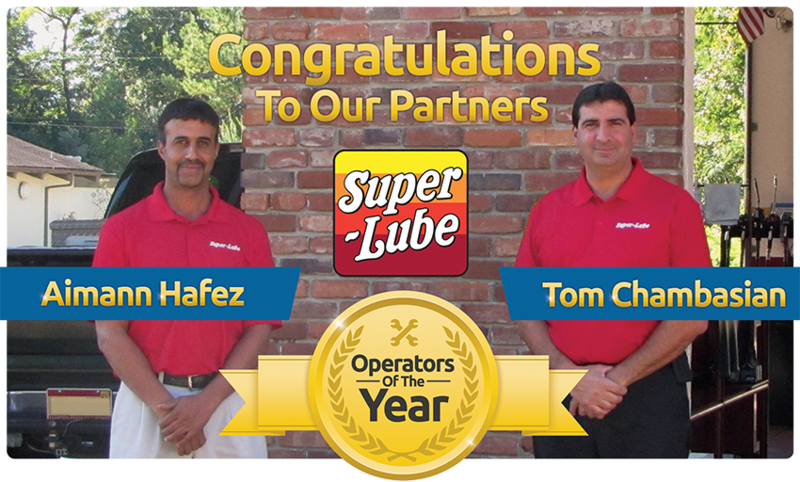 Tom Chambasian has been named the 2014 "Operator of the Year" by National Oil & Lube News magazine.
" In early 2011 it was clear that Super Lube was in need of an upgrade to its POS Software. After thoroughly researching all of the solutions available we decided to partner with eGenuity. Our conversion to eLube and the eGenuity line of products in early 2012 was a smooth transition thanks to eGenuity/s team of knowledgeable employees and their ability to "go the extra mile" when needed. Our Back Office staff was elated with the time-saving features related to Accounting and Payroll Integration, Fleet Management, and Data Replication. Our Marketing staff was delighted by the wide range of robust marketing products and eGenuity/s ability to tailor products to meet our needs. Our Management staff became more knowledgeable on day-to-day operations as they were able to view "real-time" stats from their smart phones. Our relationship over the past 2+ years has been very positive as eGenuity continues to deliver products that "work" and allows us to grow our business."